Ali Liebegott reads from The Summer of Dead Birds published by Feminist Press. Joined by two special guests: Dodie Bellamy and Kevin Killian. 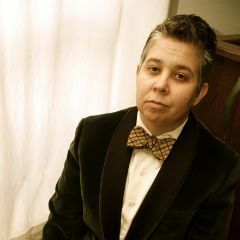 Ali Liebegott is the author of three books, and the recipient of two Lambda Literary Awards and a Ferro-Grumley Award. She currently live in Los Angeles and writes for Transparent.